There are many reasons why you should consider eco-friendly LED lighting designs for your home and garden over fluorescent lights. LED lights are easy to install, readily available, and a lot less harsh on the eyes when compared to fluorescent lights. Our company works with homeowners to help them design and install LED lighting designs that will improve the look of the interior and exterior of their home. If you’re on the fence about eco-friendly LED lighting designs, here are five reasons why you should consider them. Eco-friendly LED lighting designs are better at distributing and focusing light than traditional fluorescent lighting. Unlike fluorescent or incandescent lights, which give off light in all directions, LEDs are better at focusing light precisely. This means that fewer overall lights are required. Placing lights effectively can be a challenge in rooms with obstructions, so the fewer lights that need to be installed, the easier the project is overall. Traditional fluorescent lights usually contain toxic chemicals such as mercury that need to be properly disposed of. You cannot dump fluorescent lights when they break because they contaminate the environment. There are many ways to dispose of broken fluorescent lights, but these are both expensive and time-consuming. Any lights that happen to be damaged in an eco-friendly LED lighting design, on the other hand, can simply be thrown in the landfill, as LEDs contain no toxic chemicals. The lights in an eco-friendly LED lighting design can last up to 6 times longer when compared to fluorescent lights. That means fewer replacements for your lights, saving both time and money. The average LED light will last around 50,000 hours. Fluorescent lights are shockingly inefficient when compared to LEDs. The lights in an eco-friendly LED lighting design are 80% more energy efficient than traditional fluorescent lights. This means that not only do LEDs use far less energy than fluorescent lights, but they also produce less heat. LEDs are eco-friendly and consume much less energy. Fluorescent lights do not keep a stable lighting level and degrade after a few years. Also, they have a habit of flickering or dimming as they reach the end of their life cycle. On the other hand, LEDs keep their lighting levels consistent through their entire lifespan. This makes them ideal for aesthetics since you don’t need to worry about how they will look a few years after installation. 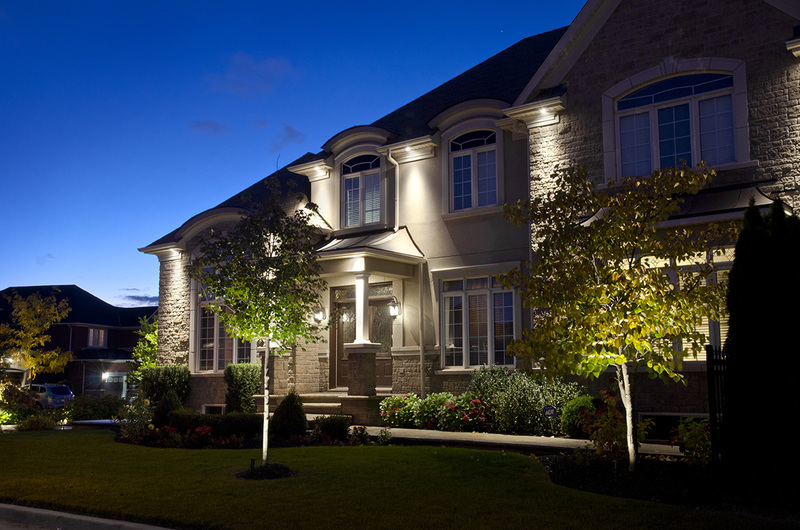 Regal Lighting is a family-owned business that helps homeowners improve the interior and exteriors of their homes with eco-friendly LED lighting designs. We have been providing cutting edge LED lighting solutions for over 11 years. We are concerned about the safety of the landowner and the environment. LEDs contain no toxic chemicals and do not emit heat, so they directly reduce your carbon footprint. Are you interested in learning more about eco-friendly LED lighting design? Feel free to contact us today. We offer our services to homeowners in Toronto, Mississauga, Caledon, Oakville, Burlington, Etobicoke, and the surrounding areas. LEDs are much higher quality and more eco-friendly than traditional fluorescent lights. They can beautify your property without leaving much of a carbon footprint. LEDs are also much lower-maintenance and higher-efficiency, so replacing fluorescent lights with LEDs will not only increase the quality of your lights, but also lower your energy bill. Regal Lighting adds a dash of creativity to get you the exact result you are looking for.